Since what we elect to measure in the business world affects outcomes, such as growth and performance, the subject of measuring is clearly very important right now. We are often obsessed with trying to measure everything in the hope of understanding everything and having control. 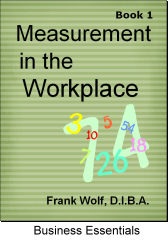 In this book, we examine measurements that support the business goal. For example, if we create an incentive for risk, employees will take chances, is that the intent? A general discussion and history of measurements. Workplace measurements in corporate offices. Workplace measurements in the service sector of the economy. Workplace measurements in the manufacturing sector. The chapters are supported by rich examples and exercises that support new thinking for better outcomes and timely rewards. The author Frank Wolf teaches MBAs at the H. Wayne Huizenga School of Business and Entrepreneurship, and brings a wealth of experience in this subject from research, writing, and from having been a corporate manager and entrepreneur of three companies, the current one engaged in solvency stress testing companies in the private sector. 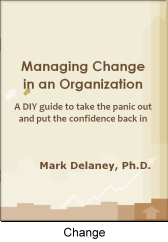 This book serves as a self-help tool for managers who have to handle a major change initiative. They may be good at everyday problem solving, but when it comes to managing change out of the ordinary they will benefit from this approach. They may be required to affect a downsizing in their department on the heels of a merger or acquisition. There may be a new CEO who has tasked the manager and his team with a growth strategy which requires them to penetrate a new market. For some reason they may have lost a major customer and have to manage the change associated with that loss of revenue and market share. Or, they may have been challenged with managing the introduction of a new computer system. These are the type changes which the manager and his team have to manage which will require them to do something more than the routine problem solving. They can apply tested models to assess the environment and quantify the risks. The plan is defined in terms of actions and accountabilities. It becomes a set of living documents, which will support the process to a successful completion. The potential for improving commitment and support from the organization is enhanced. 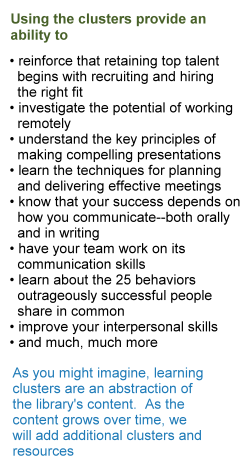 Most of all, the manager can stop panicking and start managing the change with confidence.